At a certain point, it’s normal to notice signs of aging that weren’t obvious to you before. 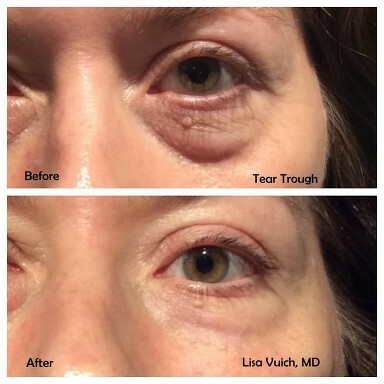 What were once subtle lines and wrinkles have started to deepen over time. 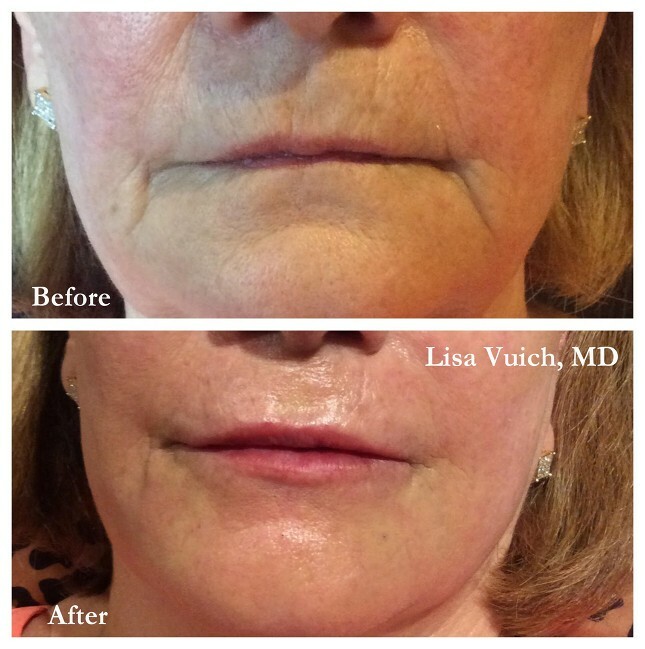 Cheeks that used to appear full and taught suddenly seem to sag and droop, and formerly full lips seem thin and flattened. While aging is a reality of life, it doesn’t mean you can’t maintain a natural, more youthful and refreshed look along the way. 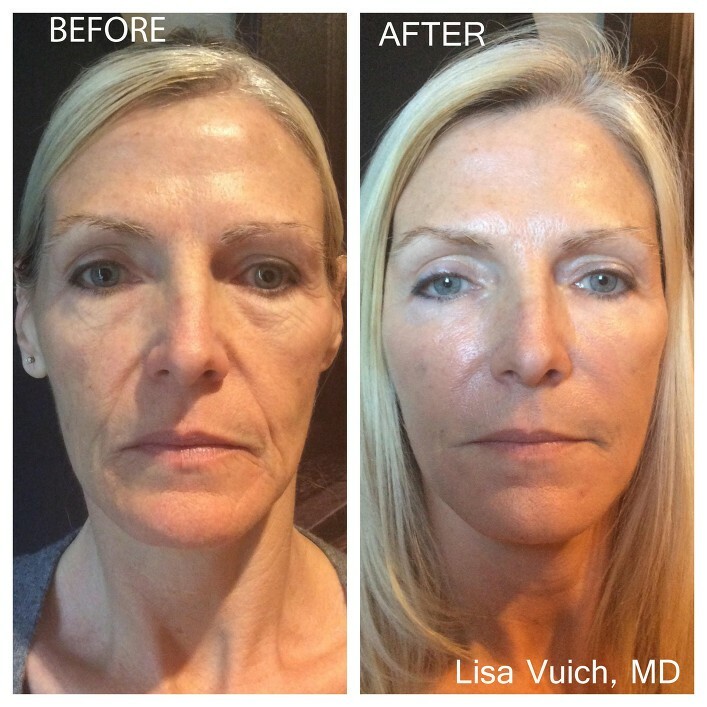 Today’s dermal fillers and injection techniques have advanced to the point where many are forgoing the risk and downtime of a facelift in favor of these less invasive procedures. 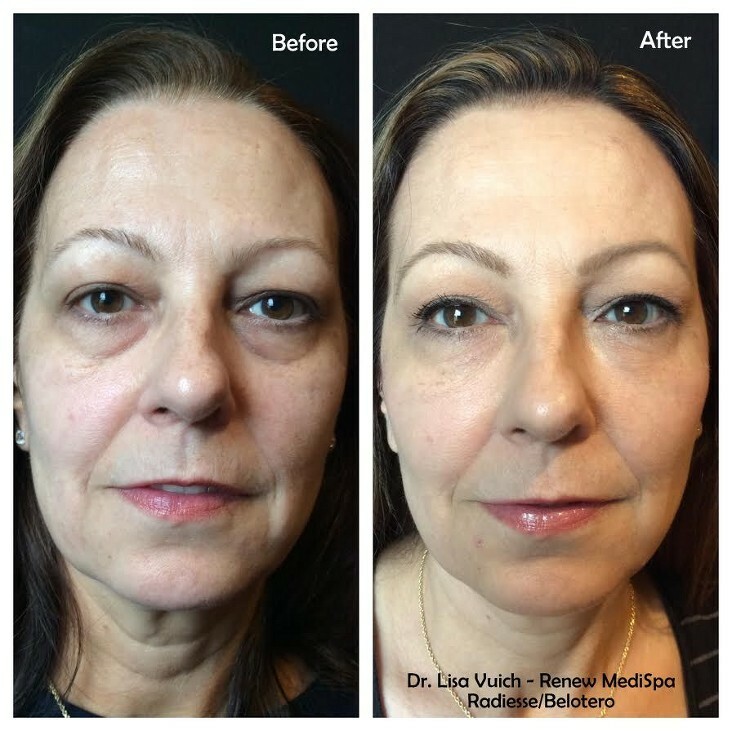 Dr. Lisa Vuich and Renew MediSpa offer a variety of dermal fillers designed to deliver long lasting results. 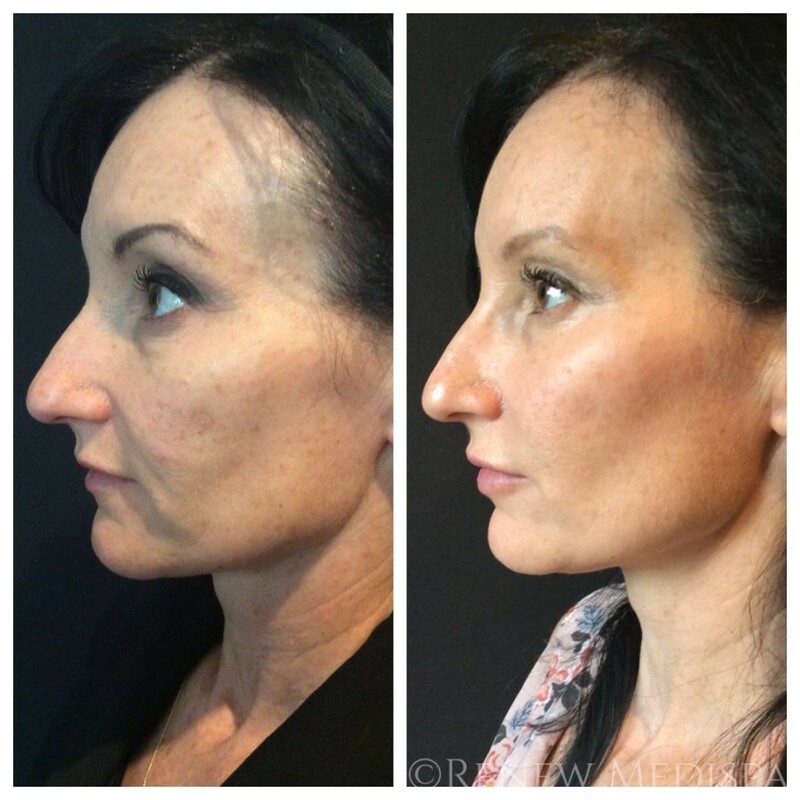 Achieving the best dermal filler results depends on more than finding the right dermal fillers. An experienced injector is the key to achieving exquisite results that don’t look overdone. Many of the most popular dermal fillers are composed primarily of hyaluronic acid (HA), a substance that’s naturally produced in your body. It was approved as a dermal filler by the FDA back in 2003. HA fillers are gradually absorbed by the body. They are injected into the skin to enhance volume and to soften the appearance of static (unmoving) wrinkles and folds. Depending on the type and the formula, dermal fillers are wonderful for softening wrinkles like worry lines, smile lines, marionette lines, and smoker’s lines. 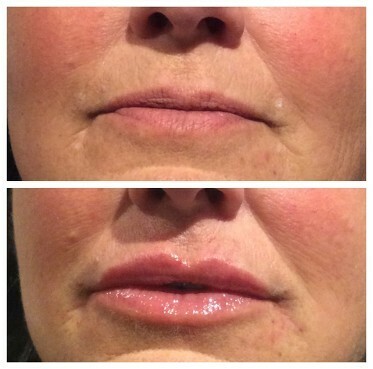 In an era that celebrates luscious lips, dermal fillers with softer and more flexible properties are becoming the perfect treatment for plumping the lips and redefining their borders. 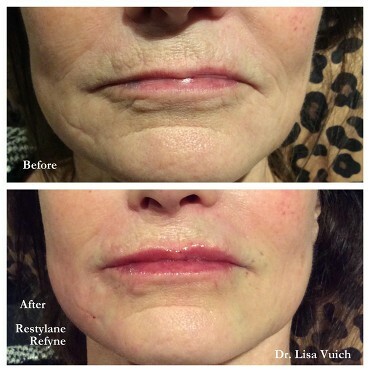 How Are Dermal Fillers Placed? 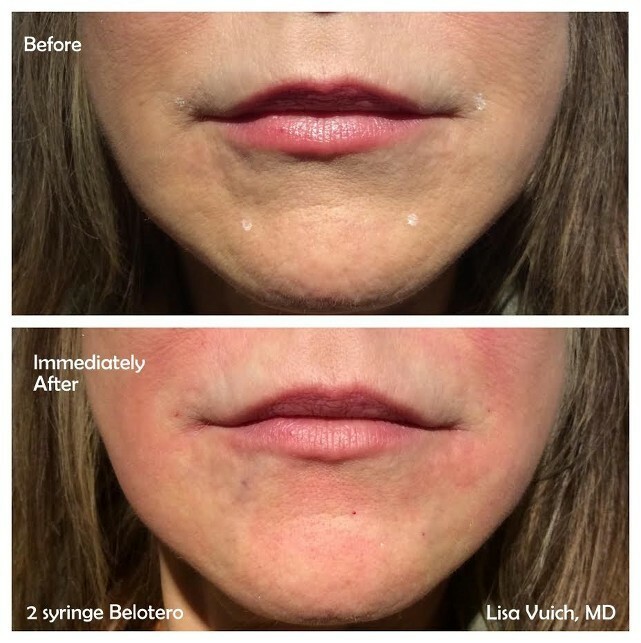 Dermal fillers are injected using a traditional needle, or with a microcannula. A microcannula is blunt tipped and longer than most straight needles. It is also flexible. As the microcannula is advanced, its blunt tip can push aside blood vessels and nerves rather than piercing them. This can result is less pain, less bruising, and is also considered by most to be a safer technique. 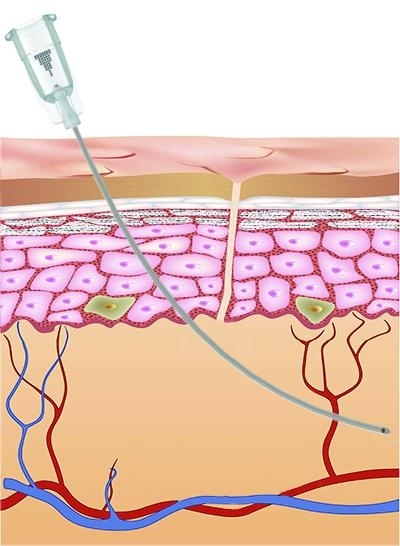 After an initial tiny hole is placed with a straight needle, the microcannula is threaded into or beneath the skin to deliver the dermal filler. Renew MediSpa injectors are experts in the use of microcannulas and will use them to deliver dermal filler whenever feasible. The following are some general guidelines regarding our most commonly used dermal fillers. Included are both “on label” and “off label” uses of dermal fillers. An “on label” use is one which has been formally evaluated by the FDA and can be marketed to the public for that indication by the company which produces the dermal filler. Injectors commonly use products for off label indications as well. 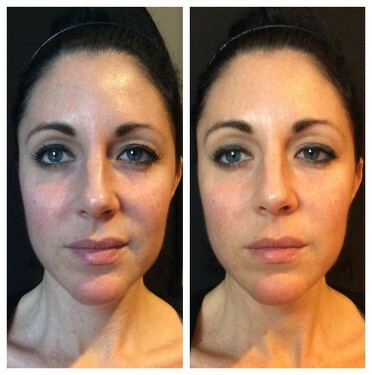 Semi permanent dermal filler-contains PMMA microspheres and bovine collagen. The collagen provides immediate volume. The PMMA microspheres act as a scaffold and stimulate new collagen to form in the area. Calcium Hydroxylapatite (CaHA) microspheres suspended in an aqueous gel. It provides immediate volume but also stimulates the body to produce its own collagen. 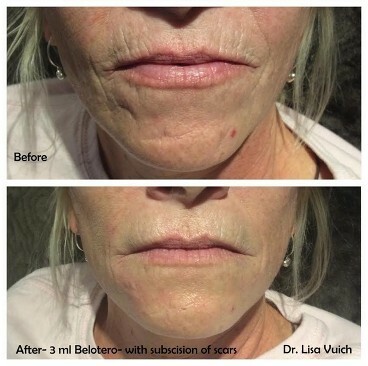 Patients should see an immediate improvement after their dermal filler treatment. On average, dermal fillers can last for around 6 months to a year. Some unique dermal fillers like Bellafill can last for as long as 5 years. Of course, the duration of effect will depend on what dermal fillers are used where they are placed. 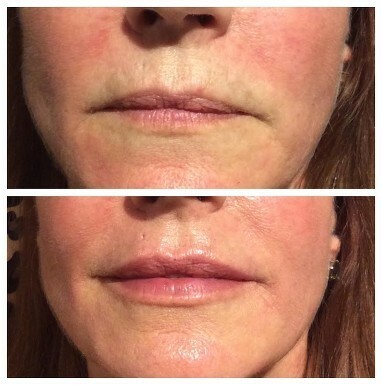 Dermal fillers in hyperdynamic regions (parts of the body that move a lot) like the lips might disappear more quickly than the same filler placed in a more static region like the cheek. Combining dermal fillers with platelet-rich plasma, the so-called Vampire Facelift, can also extend the duration of the correction. 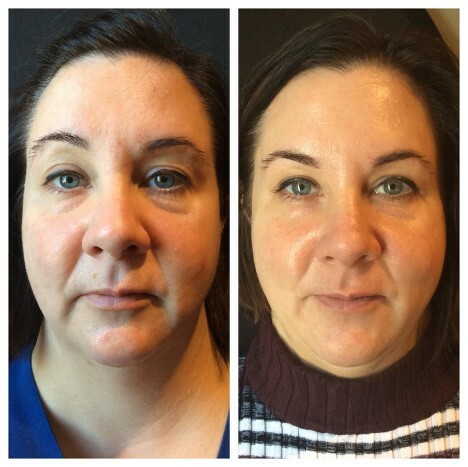 Dermal fillers require no downtime or recovery period, but patients may experience temporary side effects like swelling, bruising, redness and soreness after the treatment. The degree and duration of these minor side effects depend on multiple factors such as product selection, injection technique, and the region injection. Excited at the chance to finally target those pesky fine lines and wrinkles? 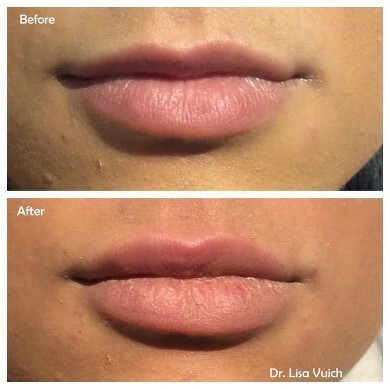 For luscious lips and a more youthful look with little or no downtime, contact Renew Medispa for a consultation. If you’re interested in learning more about Dermal Fillers, call us today to schedule your appointment. I woke up one morning and discovered I was unexpectedly single and almost 50 years old. Worse than that, I had just received a package of professional photos for work and YIKES!!! 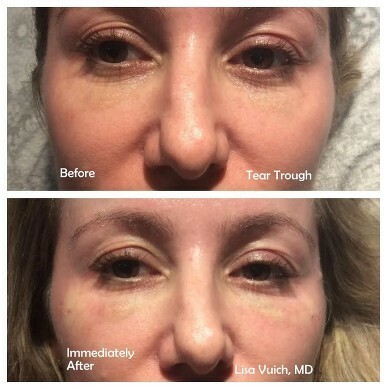 I couldn’t believe how my ‘expression lines’ had turned into such deep wrinkles. They say the mirror doesn’t lie but photos really show the brutal truth! Starting with my very first appointment, Dr. Lisa Vuich was patient, kind and a miracle worker!!! She let me express my concerns (including financial), explained what each injection (botox and filler) would accomplish and proceeded to administer my treatment as gently as possible. When finished, she handed me a mirror. I COULD NOT BELIEVE MY EYES!! Gone were the life-long forehead lines, the incredibly deep nasolabial folds and the dark circles under my eyes. I looked 15+ years younger and felt absolutely beautiful. Dr. Lisa had given me the face I always wanted. Ok, maybe it didn’t change my life, but it absolutely changed how I felt about myself and my appearance.